Divinycell F is a polyethersulfone-based (PESU), recyclable foamed core material, made from BASF’s Ultrason E thermoplastic resin. It combines light weight characteristics with excellent mechanical properties. Typical of Ultrason grade materials, it also features low water absorption, resistance to high temperature and chemicals, excellent heat aging behavior as well as inherent flame retardance. Divinycell F core materials were specifically developed for aircraft interior requirements. Divinycell F is commercially available from the Diab Group. Divinycell F is an excellent alternative to honeycombs. It reduces weight and manufacturing time/cost of interior aircraft parts such as overhead stow bins, sidewall panels and bulkheads. 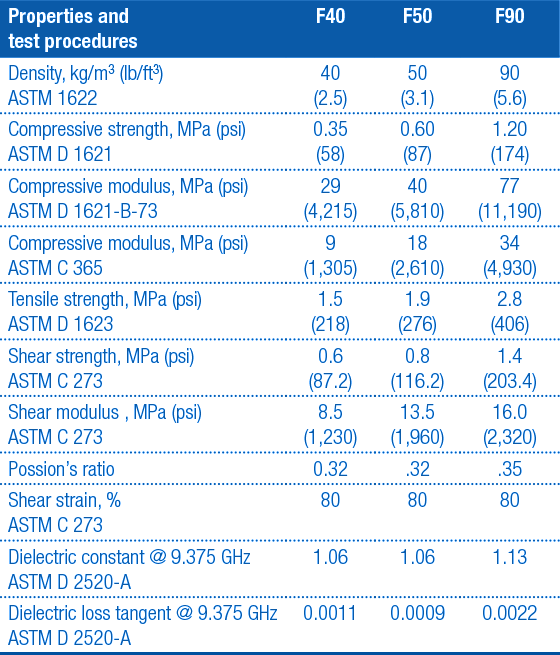 A broad range of core materials with densities from 40 to 90 g/l (2.5 to 5.6 lbs/ft3) offers flexibility to achieve shape and performance design goals. Divinycell F comes in a wide range of mechanical properties and densities so designers can optimize the core of their application. ​Divinycell F40 is an ultralight interior core for parts not exposed to passenger loads, such as tray tables, ceiling panels and headrests. F40 is used on parts requiring FST compliance, acoustic damping performance and cosmetic appearance. Divinycell F90 is a moderate weight interior core for components subject to heavier loads and impacts, such as dados and stow bin floors. F90 is used on parts requiring toughness and durability, FST compliance and acoustic damping performance. ​Divinycell F has inherent cost benefits when compared to traditional honeycomb-core materials. For example, a potential cost saving on a typical overhead bin or compartment door made of Divinycell F can be approximately 10 to 20%. Molded part surfaces are smooth and even due to the micro cell structure of the core. This feature significantly reduces the amount of hours needed for filling and fairing parts for finishing. 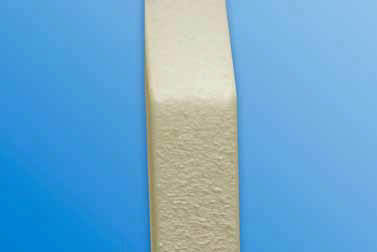 Divinycell F also eliminates the need for edge filling and hard points. These features, in combination with unique forming capabilities, enable manufacturers to combine part fabrication into fewer steps- saving time and cost. ​Divinycell F reduces the impact on the environment by saving weight. Without edge filling and hard points, Divinycell F cored parts help reduce the aircraft interior weight. 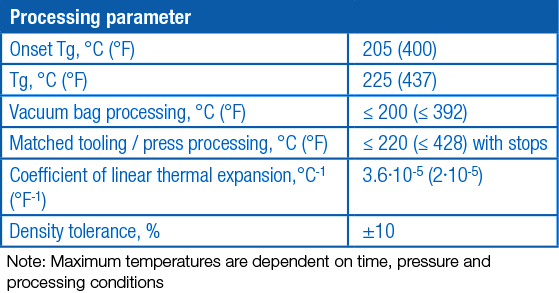 Typically, an approximate 10% weight savings advantage over honeycomb can be achieved. Naturally, weight reduction has positive impact on fuel consumption, payload and range. ​Divinycell F is usable over a wide temperature range and is compatible with most pre-impregnated systems. This allows for easy lamination: laminates with excellent peel performance and durability are achieved without the need for a film adhesive. Because Divinycell F is a continuous foam core, no edge fill or hard point potting is required. If required, high-density inserts may be added before lay-up, providing strength and durability for hinges, fasteners, and pulls. Divinycell F’s continuous micro cell structure fully supports the laminate, reducing the amount of finishing required to achieve a high quality surface. As a result, the amount of post lamination work is greatly reduced. 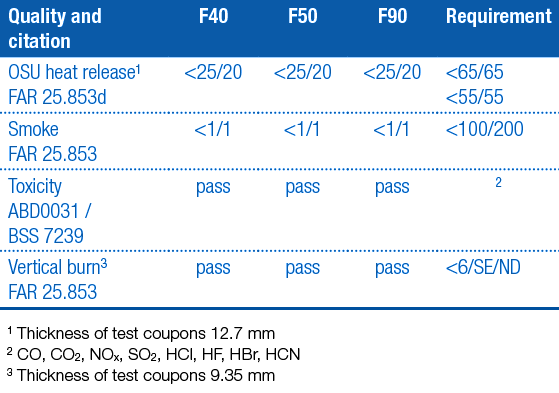 Divinycell F is also compatible with many wet resin systems for infusion and open molding methods. ​Divinycell F retains its mechanical properties well at elevated temperatures and is not adversely affected by lower temperatures. It is robust and flexible and may be cold-formed into shape. Since Divinycell F is a thermoplastic, it may be also be formed at elevated temperatures. ​Divinycell F meets and exceeds the government and industry regulations for commercial aircraft interiors regarding heat release and fire, smoke, toxicity (FST).